There are plenty of reasons we’ve earned our reputation as the Columbus, Ohio Amish furniture store to rely on. We offer the best quality, variety, service and prices you can find. Having launched in 1992, we’ve worked hard to build a working relationship with more than 70 Amish families in Northeast Ohio so our customers have the selection they want. Being intertwined like this makes us not just a furniture store but part of the local communities. It’s what sets us apart from the rest. Along with our commitment to Think Green, we work with groups such as the Westerville Area Resource Ministry and always take care of the families we work with, whether they are crafting the furniture or buying it. How are we a different type of Columbus, Ohio Amish furniture store? We work with our customers to help them make the ideal selection for their home or office. Whether someone comes in for a single accent table or to completely furnish a new home, we see all of our customers as equally important and strive to treat each one this way. We also make it a point to help make our customers knowledgeable. We only employ those who care about and know about Amish furniture, down to the different types of wood finishes. We help our customers even make the right choices when it comes to selecting a finish that works for look as well as the overall care required. In fact offering care and cleaning tips online or in person is just one of the little things we like to do to help take care of our customers. At Amish Originals our goal is to establish long term relationships with our customers. Doing this means also helping them understand how to take the best care oftheir investments. We like to think of it as helping our customers become informed and grasp thereal value and importance of these handcrafted pieces. Ultimately the home you are buying furniture for is yours, and the choices you make about furnishing it are as well. However one of the main reasons we have earned such a strong name as the Columbus, Ohio Amish furniture store to trust in is that we like to help when needed. Many customers have an idea in mind of what they may want but understanding options can be overwhelming. We can help you to make the best furniture choices to fit any room of your home, even the great outdoors. It could be that you aren’t sure what wood choice or finish would work the best for your paint choices and our expert staff members can help with that. 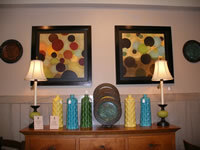 Maybe you want to create a certain style to match the style home you have and need some feedback or advice. Whatever the case may be, we have become the trusted furniture store Columbus Ohio because we offer whatever level of professional customer service our clients need, plus so much more.